﻿It can be said that major hurdles were overcome and the clutching of funds by the feisty bankers is coming to an end. They do not want to release those funds because of the interest they make on them each week. They are trying to overcome some bad decisions they have made by holding to the money and having control has allowed that for quite some time. 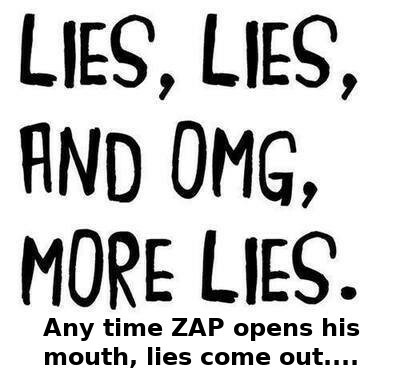 If you think back to how long Zap Man has been thinking each week it is happening or next week you will get a better feeling for how long the bankers have used their tricks and trade secrets to up-end the beginning of a new era. It is also true that their management has made them far more stable than they were before. So the efforts being made by the cabin crew have been of invaluable assistance. The efforts and the holding vigils have been there to keep funds in place. Many kinds of expertise have been called for. As far as the release is concerned— we told you last week they were not coming for a few weeks yet. As that is shifting and changes we will have some first glimmer of it to pacify the troops. There has been a splicing off of funds to keep the game going. And it is a game. The workings of all of this are a mystery to most of you. Please read the "Did You Know" by DJ. The more we all can understand why this will happen for the whole world. The more our faith deepens, our patience strengthens. Once again, the jungle drums are beating with expectations of the reset beginning on July 26th going through the weekend with the public tiers beginning this coming Monday or Tuesday. Without falling prey to the trolling internet narratives or information received from what I would designate as valid, we should revert our attention to the bigger picture and the strategic moves implemented or are being implemented that validate the absolute necessity of a global currency reset. The GCR/RV release cannot move forward until Zimbabwe is recognized as a Sovereign Nation. Zimbabwe must be recognized as a Sovereign Nation by the world community which often times is initiated by a major Power Nation, such as the United States, which is expected to happen at any moment now. The US government has already voted on US Senate Bill S5320, the ‘‘Zimbabwe Democracy and Economic Recovery Amendment Act of 2018’’ to recognize Zimbabwe as a sovereign nation and now it's simply awaiting president Trump's signature which is expected within the next 24 to 48 hours. Until recognized by the world community; they can not be sanctioned; therefore, cannot legally exchange. Further, the world community (the United Nations) will probably not recognize Zimbabwe as a Sovereign Nation until after its presidential election July 30th..
China and Russia have had the intuitive foresight to recognize the impending doom of the global financial system and take measures to relieve their perspective countries exposures to financial instability. China recognizes that the value of its currency is predicated on its demand created mechanisms of funds distribution that would ultimately integrate their currency into global markets thereby raising its’ demand . IE: the C.I.P.S. , AIIB, and BRICS . In addition, they had the foresight and vision to foster and build relationships in undeveloped and developing counties, securing the availability of future in -ground assets to strengthen their currency values. The strategic alliance with Russian fuel and agriculture production secures their energy needs, along with their financial distribution mechanisms and establishes the means to migrate out of western banking influences and control. Over the past two months, Russia has sold off 85% of their dollar reserves and used the proceeds to primarily buy physical gold. They are doing this rapidly because Moscow expects the current global monetary system to change in a reset, which will see a return to gold playing a significant part in whatever new system emerges. The reason for Moscow's rush to pull out of US T-bills and grow its reserves of gold is obvious. A global reset will take place when the governments of the world need to rid themselves of debt, and that they will tie everything to the price of gold. At the heart of this need for a global reset is the accelerating growth of debt that has not only become unsustainable and un-payable, but also is now threatening the entire financial system since central banks are being forced to pull back their credit expansion due to the possibility of inflation. Following the 2008 financial crisis, billions of taxpayer dollars that had been spent on bailing out the banks, combined with huge amounts of quantitative easing and reducing interest rates, resulted in advanced economies holding the highest public debt-to-GDP ratios. To make matters worse, that debt, even now, continues to grow. Currently, global debt has risen to more than $57trillion and this has subsequently increased the ratio of debt-to-GDP globally by more than 17percent. With global debt at these levels, the compound annual growth rate comes in at 5.3 percent, far exceeding the 3.3 percent global growth predicted by the International Monetary Fund (IMF) in 2015. In short, the world is going to struggle to pay off the interest, let alone make any meaningful dent in the debt itself. This massive accumulation of debt around the world, combined with the fact that very little has been done to ease the global economy both in terms of household or public debt, has led many to contend that the seeds for the next economic crisis have already been sown. Some are even predicting that another global meltdown is imminent. If that is the case, it is important to understand how the world has arrived at this position. More importantly, try and figure out what will happen when the world eventually buckles under its own debt. There has been only one industrialized country who has even bothered to pay down their debt since 2008. And that nation is Russia, who has not only paid off outstanding debts, but also has gotten their current national debt levels below $500 billion. Which means that when you add this debt to the value of their gold reserves currently on hand, they are now completely solvent and in fact have a permanent surplus and not just an annualized budgetary one. With a vast network of energy and agricultural production, and now gold reserves that at least place them in the top 5 in the world, point towards the fact that when the world defaults into having to perform a full monetary reset, Russia will find itself as one of the global economic powerhouses and back at their place in overseeing global events. These strategic moves by Russia and China are preparation agendas designed to migrate into a new financial system and are some of the real indicators of the imminent global currency reset. Viewing the successes of these strategic agendas, other countries have and are following suit in similar ways in expectation of the reset. It is no longer an 'if' but 'when'. It will only be known when it is done, not before. THIS HAS BEEN ONE FASCINATING WEEK WITH THE BANKERS FINALLY GETTING THEIR ACT TOGETHER AND DOING WHAT IS SUPPOSED TO BE DONE SO WE WILL BE GETTING TO WORK VERY SHORTLY. BESIDES BEING ABLE TO COUNT ON THIS, WE HAVE HEARD A LOT OF GOOD THINGS IN RESPECT OF THE RV AND ITS STATUS. AS WE ALL KNOW, THE RV WILL BE HERALDED BY PLACES LIKE THE GREAT AMERICAN COIN COMPANY STOPPING ITS SALES OF CURRENCIES TO BE REVALUED. THE OTHER ELEMENTS LIKE THE ZIMBABWEAN ELECTIONS ON JULY 30 ALSO HAVE EVERYTHING TO DO WITH THE RV PROCESS, SO WE WILL KNOW THE APPROXIMATE TIMING OF THIS EVENT IN SHORT ORDER JUST BY WATCHING. OF COURSE GURUS WILL HAVE THEIR OWN OPINIONS AND DETAILS OF THE EVENT WE DO NOT HAVE OR SUBSCRIBE TO. IN DIRECT ANSWER AGAIN TO SOME THAT HAVE WRITTEN IN, WE DO NOT DEPEND ON THE RV FOR OUR OPERATIONS. OUR FUNDING SOURCES ARE THE OLD TRUSTS AND FOUNDATIONS THAT HAVE GUARDED THE WEALTH OF OUR HUMANITY UNTIL THIS SPECIFIC TIME. THESE FUNDS ARE STRICTLY MEANT FOR THE RECONSTRUCTION PROJECTS THAT HAVE TO PREPARE FOR THE CHANGES, CARRY US THROUGH THE TOUGH TIMES, AND REBUILD US AFTERWARDS. SIMPLE AS THAT. THE COINCIDENTAL TIMING OF OUR RELEASE VIS-À-VIS THE RV AND OTHER EVENTS IS JUST THAT – COINCIDENCE. PERHAPS THE TIMING IS IN LOCK STEP WITH THE OTHER EVENTS, BUT BASED ON THE RIDICULOUS DELAYS BY THE BANKS, I DO NOT THINK SO. WE SHOULD HAVE HAD OUR RELEASE A LONG TIME AGO AND GOT TO WORK, BUT THE DELAYS PREVENTED THIS UNTIL OTHER MECHANISMS WERE PUT IN PLACE TO GET THAT DONE. ONE OF THE MAIN TACTICS THE BANKS HAVE USED TO DELAY US IS SOMETHING YOU MAY EXPERIENCE WHEN YOU RECEIVE YOUR FUNDS FROM THE RV (AND I HOPE THIS DOES NOT HAPPEN WITH THE CHANGES MADE THUS FAR). THE BANK DOES SOMETHING CALLED A COMPLIANCE REVIEW. OF COURSE BANK COMPLIANCE ON FUNDS IS NECESSARY TO SATISFY THE ANTI MONEY LAUNDERING LAWS IN PLACE NOW. BUT, DESPITE COMPLIANCE BEING DONE ON THE MONEY AT THE SENDING BANK, AND THEY HAVE TO DO THAT BEFORE THEY CAN SEND MONEY, THE RECEIVING BANK CAN DO A COMPLIANCE REVIEW ON THEIR END. THIS IS NORMAL, BUT…THEY CAN EXTEND THIS COMPLIANCE REVIEW FROM THE NORMAL TIME REQUIRED WHICH CAN BE A DAY OR THREE TO MANY MONTHS OR YEARS. HOW DO THEY DO THAT? THEY ASK QUESTIONS. THE QUESTIONS THEY ASK ARE LEGAL QUESTIONS ON ASPECTS OF THE CORE COMPLIANCE THEY RECEIVE. THEY CAN ASK A QUESTION A DAY, RECEIVE THE ANSWER EITHER SAME DAY OR NEXT DAY, AND SEND OVER THE NEXT QUESTION. IF THEY CONTINUE TO DO THIS, THEY CAN EXTEND THE COMPLIANCE REVIEW FOR AS LONG AS THEY CAN COME UP WITH A VALID QUESTION TO ASK OR UNTIL THEY RUN OUT OF VALID QUESTIONS. THIS IS WHAT THEY DID IN OUR CASE UNTIL THEY WERE CAUGHT RECYCLING QUESTIONS. THAT IS WHEN THE INVESTIGATION STARTED ON WHY THE BANK WAS ASKING QUESTIONS THAT WERE ALREADY ANSWERED BUT IN THE MEANTIME, THE TRUST SET IN MOTION A SEPARATE MECHANISM TO GET THE FUNDS OUT TO DESTINATIONS AND IT IS WORKING. THIS COMING WEEK WILL BE VERY BUSY WITH TRANSFERS. AND SO WE WILL BEGIN WORK AFTER SO MANY DELAYS AND BLOCKS. IT HAS NOT BEEN EASY TRYING TO STAY ALIVE AND WORKING THROUGH THIS TIME, AND ONLY YOUR HELP HAS HELPED US GET HERE MORE OR LESS INTACT. THE JOB AHEAD IS VERY LARGE AND WILL TAKE MANY THOUSANDS AND PROBABLY MILLIONS WORKING ON IT. WE ARE NOT IMMUNE TO THE EFFECTS OF A START-UP OPERATION AS THAT IS WHAT WE ARE AT THIS POINT. WHEN THE MONEY ARRIVES, IT WILL TAKE SOME AMOUNT OF TIME TO GET THE OFFICE PRESENCE AND GET OUR SERVERS SQUARED AWAY TO GET OUR DATABASE FULLY FUNCTIONAL. THERE ARE OVER 3,000 PROJECTS AND MANY MORE TO BE DONE, SO THE DATABASE IS ALL IMPORTANT FOR TRACKING AND GOVERNANCE. WE DO HAVE AN ENTERPRISE WIDE EXCEL MODEL THAT CAN TRACK EACH INDIVIDUAL COMPANY RIGHT DOWN TO THE PENNY SPENT. I CREATED THIS MODEL MANY DECADES AGO TO PROVIDE A 10 YEAR PRO FORMA FOR THE BUSINESS PLANS I WROTE PROFESSIONALLY AND THIS BEING ALTERED TO PROVIDE THIS TRACKING SYSTEM. EACH COMPANY WILL BE ABLE TO SEE ITSELF IN REAL TIME ON THE INTERNET WHEN THEY LOG IN TO THEIR ONLINE SERVICE SYSTEM BEING CREATED FOR THEM. GETTING AN INSTANT SNAPSHOT OF WHERE THEY ARE IS CRITICAL TO ENSURING THEIR PROJECT IS ON TRACK WITH THEIR BUSINESS PLAN. PLUGGING IN OTHER SERVICES WILL BE A CLICK AWAY. THIS KIND OF SYSTEM IS IMPORTANT NOT ONLY FOR TRACKING AND GOVERNANCE, BUT TO ENSURE THE PROJECT IS MEETING ITS MILESTONES AND IF THERE IS A PROBLEM SOMEWHERE, IT IS IDENTIFIED IMMEDIATELY SO CORRECTIVE ACTION CAN TAKE PLACE. THIS IS ALL TO THE BENEFIT OF THE PROJECT. WITH THIS SYSTEM, TAKING ADVANTAGE OF THE FUNDING IS IMPOSSIBLE. THE DUE DILIGENCE PROCESS AND THIS SYSTEM WILL PREVENT THE SCAM PROJECTS FROM SEEING ONE PENNY OF FUNDS FOR THEIR ILLICIT PURPOSE. WE HAVE TO BE DEAD ON THE MARK WITH THIS AS THIS MONEY IS MEANT FOR HUMANITY NOT SOMEBODY’S POCKET. BESIDES OUR FOCUS ON NORTH AMERICA AND REBUILDING THE GUTTED MANUFACTURING INFRASTRUCTURE (THANKS TO THE WONDERFUL PAST PRESIDENTS THAT TORE THE HEART OUT OF AMERICA) WE HAVE ESTABLISHED VERY CLOSE WORKING RELATIONSHIPS WITH THE BRICS (BRAZIL, RUSSIA, INDIA, CHINA AND SOUTH AFRICA) TO CARRY FORWARD OUR MISSION TASK OF ENDING POVERTY AND LOOKING AFTER OUR KIDS AND SENIORS. AFRICA IS A SPECIAL FOCUS OF THIS EFFORT, AND THE VARIOUS CULTURES OF AFRICA WILL SHINE BRIGHTLY. THERE HAS BEEN WAY TOO MUCH STRIFE CAUSED BY GREED THERE. THE SHEER SIZE OF THE TASK AT HAND CAN ONLY BE APPRECIATED BY GLOBAL THINKERS. EACH COUNTRY HAS ITS OWN SET OF PROBLEMS, BUT THE MAJORITY OF ISSUES CAN BE SOLVED WITH ONE SINGLE CONCEPT – JOBS, JOBS, JOBS. WITH A GOOD JOB MAKING GOOD MONEY TO SUPPORT A FAMILY BY ONLY ONE BREADWINNER THAT STABILIZES THINGS IMMEDIATELY, WHO WANTS TO GO TO WAR WHEN LIFE IS GOOD? SO WHAT THE PROJECT SIDE DOES IS CREATES THE CIRCUMSTANCE FOR A LOT OF JOBS. GOOD PAYING ONES. CONSCIOUSNESS SHIFTS FROM TRYING TO SURVIVE TO MAKING THINGS BETTER ALL AROUND FOR EVERYBODY. WE HUMANS ARE GEARED FOR HELPING OTHERS WHEN THERE IS NO LACK, AND THE GOOD HEARTS DO THAT REGARDLESS. THE POOREST OF THE POOR GIVE MORE THAN THE RICHEST OF THE RICH. WHY IS THAT? PROBABLY BECAUSE THEY UNDERSTAND WHAT IT MEANS TO HAVE NOTHING AND HAVING KIDS TO FEED, RIGHT? ALL OF US WANT TO HAVE THESE WONDERFUL CHANGES TAKE PLACE, AND THEY ARE TAKING PLACE. OUR PATIENCE HAS WON AND THE EFFORTS OF ALL THOSE BEHIND THE SCENES WORKING FOR OUR HUMANITY ARE BEING FELT BY THE CABAL. THAT PART OF OUR HISTORY IS CHANGING RAPIDLY AND WE CAN LOOK FORWARD TO A VERY DIFFERENT WORLD FROM THE ONE THEY WANTED FOR US WITH CONTINUOUS WARS THAT ONLY ENRICH THEM. IT IS TIME TO REBUILD THIS PLACE WE CALL HOME AND THAT STARTS WITH OUR ENVIRONMENT. THE AIR WE BREATHE AND THE WATER WE DRINK SHOULD BE PRISTINE AND WE HAVE THE TECHNOLOGY TO DO THAT. ONE OF OUR EFFORTS UNDERWAY WITH ONE PARTICULAR COUNTRY IS TO BUILD AN ENVIRONMENTAL TECHNOLOGY DATABASE THAT WILL ALLOW PERFECTION OF ALREADY GOOD TECHNOLOGIES TO CLEAN OUR ENVIRONMENT. WE HAVE SIGNED AN AGREEMENT WITH THIS GOVERNMENT TO DO EXACTLY THAT. THIS WILL BENEFIT THE WHOLE WORLD AS THEIR INTENTION IS TO ASSEMBLE THIS INFORMATION, BUILD SOME OF IT OF COURSE, AND SHARE IT WITH ALL OTHER COUNTRIES. THIS IS EXACTLY WHAT IS NEEDED, SO WE HAD NO QUALMS ABOUT SIGNING THIS AGREEMENT. IN THE END RUN, WE HAVE TO ADDRESS ALL THE ISSUES THAT PLAGUE ADVANCEMENT OF OUR HUMANITY AND BRING IT TO THE POINT OF ACTUALLY HAVING A STAR TREK LIKE GLOBAL COMMUNITY THAT FOCUSES ON ACHIEVEMENTS THROUGH EXPLORATION INSTEAD OF THE WAR AND GREED THING THAT STOPS US FROM EVOLVING. SO BE HAPPY, BE READY, AND ENJOY THIS AMAZING TIME IN OUR HISTORY AS IT UNFOLDS. AND REALLY BE READY FOR A LOT OF WORK AHEAD. WE WILL HELP ALL WE CAN, AND YOU CAN COUNT ON US TO DO THAT. NO AMOUNT OF PUTDOWNS OR NAYSAYERS CAN DETER US FROM DOING IT. I THANK ALL THOSE THAT HELP AND THE ONES THAT DO NOT BUT LEND THEIR SUPPORT IN OTHER WAYS EVEN THROUGH PRAYER. THAT TOO IS VERY POWERFUL AND THE ENERGIES GIVEN OFF JUST HELP IN SO MANY OTHER WAYS. IT ALL WORKS. SHORTLY WE WILL BE GIVING BACK. No one wants to read that crappy CAP stuff. You don't know how to write, so STOP. Do you know books are not written in CAPS? Don't you know why? No one wants to read like that DUMMY. DEAR JAH, I DECIDED TO DO ALL CAPS TO DIFFERENTIATE MY WRITINGS FROM ALL OTHERS RIGHT FROM THE BEGINNING. IT IS NOT ME SHOUTING OR TRYING TO BE DIFFICULT, BUT ONLY TO DIFFERENTIATE. YES I KNOW BOOKS ARE WRITTEN IN PROPER SENTENCE STRUCTURE, BUT TELLING ME I DO NOT KNOW HOW TO WRITE IS JUST NOT VALID HERE. SORRY BUT I WILL NOT CHANGE AFTER SO MANY YEARS OF WRITING LIKE THIS. MAYBE IF THE CAPS LOCK ON THE KEYBOARD NO LONGER WORKS. PLEASE DO NOT SLAM ME FOR THIS ONE. GOD BLESS YOU ALL AND BY THIS WEDNESDAY WE SHOULD BE STARTING WORK. Jerzy wrote: WE DO HAVE AN ENTERPRISE WIDE EXCEL MODEL THAT CAN TRACK EACH INDIVIDUAL COMPANY RIGHT DOWN TO THE PENNY SPENT.